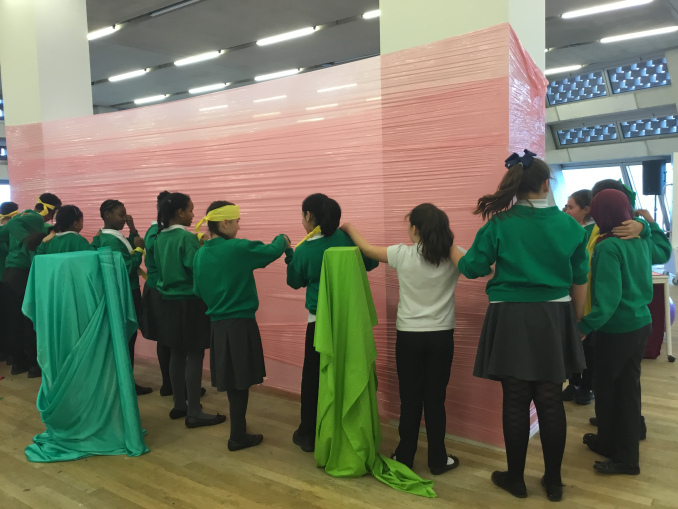 From June to July ArtLab@Reading International will deliver a series of workshops in Reading Primary Schools in response to the works created by our artist in residence Lada Nakonechna for the Abbey Ruins. Pupils will work with the ArtLab team; artists and art students from the Department of Art, University of Reading, to explore material histories, artefacts and relics. Using a mix of everyday materials and interactive technologies they will develop creative responses to the past of Reading Abbey and imagine potential futures. As the restorations are revealed in June, ArtLab is interested in how creative practice and technologies enable us to imagine travel in time and space, to consider the many local and international journeys, both taken and yet to come, which criss-cross nearly 500 years lived in a state of ruin.